The Oscars return March 2nd to give us all a night full of our favorite celebrities! This award show has been entertaining us for 86 years now and it has a place in all our hearts. Ellen Degeneres is hosting this extravaganza, a welcome change after Seth McFarlane’s gross obscenity last year. This years nominees are overflowing with talent from the ever famous Leonardo DiCaprio to the new on screen sensation Jennifer Lawrence. From the red carpet strut to the last award we’ll be on the edge of our couches begging for more! Whether you’re looking to find if your favorite actor/actress won lead in their movie or if you’re curious to who the new upcoming director is this award show has the answer to it all! With over 24 awards to hand out, you’ll be able to see who the best actor/actresses will be in 2014! If you’re a dedicated fan there’s still time to get your vote in! The awards will begin live March 2nd so until then you can get your opinion known by voting as many times as you want. The top movies of 2013 that are up for motion picture awards are: American Hustle, Captain Phillips, Dallas Buyers Club, Gravity, Her, Nebraska, Philomena, 12 Years a Slave, and The Wolf of Wall Street. The actors/actresses in these iconic films are up for huge awards along with the movies they starred in. The possible Oscars these actors and actresses can receive are: Best actress/actor in a leading role, Best actor/actresses in a supporting role, and Best animated feature. Along with actors being awarded for their talent, directors have the chance to win an oscar as well! The directors are able to show off their movies by winning in categories such as: Best director, Best documentary feature, Best documentary feature, Best documentary short, Best foreign language film, etc. The Oscars will be one to remember this year, don’t miss it! Get ready to spend your night among the stars! It’ll be a elegant night filled with something for the whole family to enjoy. From the dramatic speeches to the comedic commentary, Ellen will keep us guessing till the last award is handed out. It’s been 86 years since the first award was given and now it’s time to watch how they’ll make this years unique yet dedicated to the tradition of the Oscars. After the President’s State of the Union address to Congress this past Tuesday, a New York reporter interviewed New York Congressmen Michael Grimm about his thoughts on the State of the Union address. Initially the Congressman was responding accordingly and calmly to the questions being asked by the reporter, but he went off topic and started questioning the Congressman about an alleged funds scandal that he is under investigation from the Department of Justice. That scandal may have occurred during his 2010 campaign for congressman, but at that point in the questioning the Congressman said “I’ll throw you off this f—n balcony.” This exchange occurred on the Capitol Hill balcony after President Obama’s State of the Union address. The Congressman, a retired Marine and FBI agent, defended himself by saying he would only answer questions about the State of the Union address and that the reporter showed very little professionalism due to the Congressman’s previous statement of that he would only answer questions about the State of the Union and how accurate he believes the Address was. Congressman Grimm also stated that he probably isn’t the first congressman to do this and he surely won’t be the last. The next day Congressman Grimm apologized to the reporter. He himself called the reporter and offered an apology, the Congressman said that he was very grateful for the reporter forgiving him so quickly. Grimm later stated that he and the reporter will have lunch just to make sure this incident is behind them.The Congressman also jokingly said that his Italian mother will be yelling at him because of this incident. Later that day the reporter confirmed in a tweet saying that Michael Grimm did call him and apologize, he said that Grimm stated that he did indeed overreact to the questioning. The reporter also said in the tweet that he did accept the apology. The reporter is not pressing any charges on the congressman because it was merely a heat of the moment comment and threat and the reporter also said that there was no substance behind the threat and that he is not concerned about any physical altercations. The reporter said that the Congressman’s reaction was startling and unexpected. The reporter also mentioned that he is a New York city reporter and is used to resistance, just not that kind of resistance. Everything that was said between the reporter and Congressman Grimm is behind the two of them and they are both on good terms, well as good of terms as a politician and reporter can be. Dream interpretation: what do your dreams mean? Dreams are one of the greatest mysteries of science. And quite frankly, they never really make sense. Why do certain dreams happen and what do they actually mean? A person may constantly dream something freaky or out of the ordinary. 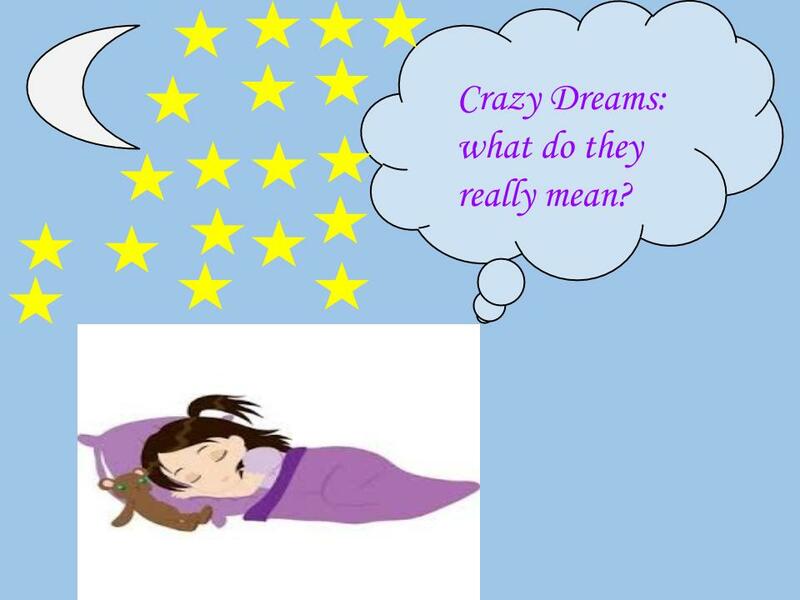 Have you ever had a abnormal dream and were left wondering what it actually meant? You are not alone. Several people around the world have wondered what their dreams are actually trying to tell them. Some dreams are a signal of what is yet to come. It is no question that sometimes certain “realistic” dreams can cause you to feel déjà vu. Dreams like these can also be called precognitive dreams. Researchers like Nancy Sondow have tied in precognitive dreams to déjà vu. She has found evidence that explicitly states that precognitive dreams have been known to tie in anywhere from one day to eight years later. However, often than not, people still question the existence of this phenomenon. Some people say that déjà vu simply does not exist and that it is simply an everyday thing. A logic explanation would be that if the event is a matter of higher importance, it is more likely to be remembered and therefore, dreamt about. Everyone dreams at night, even mammals and most birds. A dream is the experience you envision in your head during sleep pertaining to images, sounds, or other sensations while you are having your beauty sleep. They are purely an internal mental process. However, most dreams are certainly much more than that. Everyone dreams every night — even if we don’t remember our dreams. Sigmund Freud’s theory is that your dreams are an expression of what you are repressing during the time you are awake. Carl Jung believed that dreams provide messages about “lost” or “neglected” parts of ourselves that need to be reintegrated. Many dreams simply come from a preoccupation with the day’s activities. Some offer rich, symbolic expressions — an interface between the conscious and the unconscious that can fill in the gaps of our self-knowledge and provide information and insight. Three or four times a night, you have a period of sleep that lasts approximately 90 minutes called REM — rapid eye movement — which is also known as sleep. It is during this time, that your brain is more active than ever. And according to Scammell, it’s then that conditions are right for “story-like” dreams that are much more vivid and plentiful in action, complexity, and emotion. Dreams originate from what you think about late at night. Scientists have speculated that if you dream about somebody in particular, it must mean that they fell asleep thinking about you. It’s a crazy concept and has yet to be proven true. Have you looked into what your dreams mean? Acupuncture is a traditional Chinese method where thin, nearly painless needles are put into the body at specific points to stimulate areas in order to balance out your body. These needles are left in for approximately a half hour and then removed. 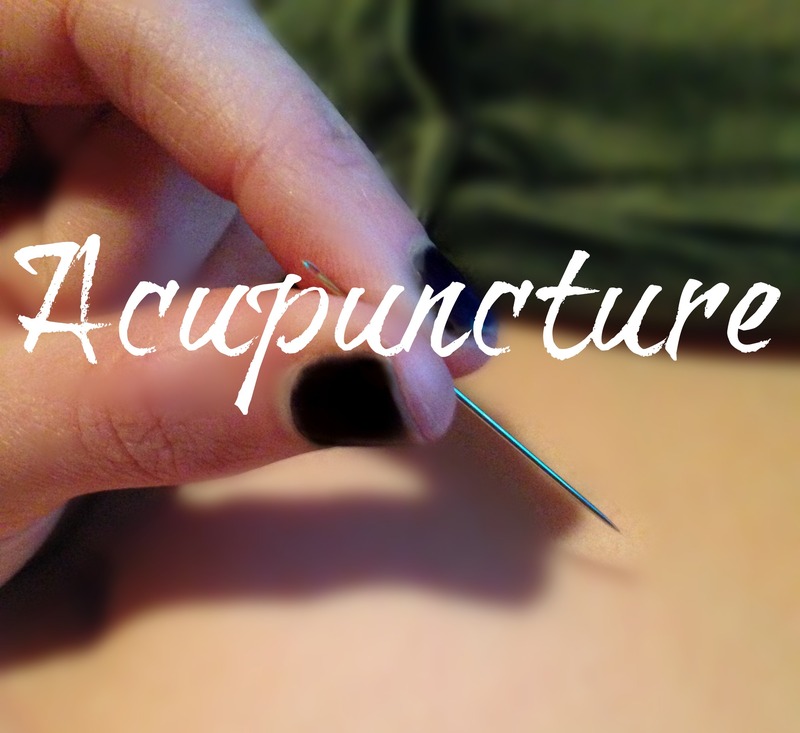 Acupuncture can be used to help just about anything, physically or mentally, such as depression, anxiety, infertility, arthritis, obesity, back pain, drug addiction, or even something as simple as acne. If you have a temporary condition, such as a headache or cramps, acupuncture can be done as a one time thing, or if you have a nearly permanent condition, such as a mental or physical disorder, then this process can be done gradually once every month or so. Depending on your condition, acupuncture may have to be done about every month for a year or longer to fully heal your body. Most people tend to rely on doctors to get treatment, whether the treatment is safe or not. Unlike doctors, acupuncturists take the time to evaluate your symptoms and then give you treatment specialized for your condition. Doctors simply try to fit your symptoms to a certain procedure or treatment that may be closest to your symptoms, but it may not be what you really need. Medication prescribed by a doctor may be unsafe and have several side effects while acupuncture treatment is much safer and more reliable, but it is a more gradual process. Everything done for an acupuncture patient is individualized; the entire process of acupuncture will all depend on your body’s needs. The best thing about acupuncture is that it not only helps to relieve your symptoms, but it also helps to balance out the rest of your body. Those who have acupuncture will have lowered blood pressure, soothed indigestion, will be less prone to illness, among several other factors. This traditional treatment has been a huge help to many. “Chinese medicine is called traditional because it follows accepted medical methods and has proven explanations for it’s effectiveness,” states Dr. Carina K. Kwong, a licensed acupuncturist from Center for Integrated Medicine in Visalia, “At its core, it is based on a medical philosophy that views the body as an integrated whole of mind, body, and spirit.” The goal of acupuncture is to balance out your entire body, not just to fix your symptoms, therefore, it will help you overall, which is what makes this procedure so effective. Even with many different treatment methods out there, acupuncture is one of the safest and most natural forms of healing. Acupuncture is also one of the oldest medical treatments, dating back to around 2400 B.C., compared to doctors whose methods are still pretty recently discovered. With treatment as powerful and safe as acupuncture, we all should turn towards it rather than always relying on doctors to cure our back pain, depression, or whatever it may be. It was almost too perfect a day in Columbia, Maryland. It seemed like a great day for shopping and spending time with families, until tragedy struck with gunshots, changing several lives. People were running out from stores, hoping to reach the exit and get as far from the alarming shootings. Hours after, it was reported by the Howard County Police Chief Bill McMahon that three people were dead. It was said by the officers at the scene that a gunman entered the skate shop, Zumiez, and shot two of its employees. This was then followed by the gunman shooting himself. Despite the shooting being over, people continued run and hide. All a worker from the mall, identified as K.T., was able to say was, “Everybody was screaming. There were kids running around. I saw an older couple, I guess they couldn’t run or anything so they were just crouched down trying to cover, ” according to CNN News. Most of the people who gave feedback of the terrifying experience could only say how it was something that you only see once you turn on your TV. All those things you never think could happen to you happened to them, and it was more than an eye opener. A couple days after the incident, it was reported by Howard County police that the killer was identified as Darion Aguilar. This then led to the revelation that Aguilar had kept a personal journal in which he had apologized to his family for what ‘“he was planning to do”. Although he did reveal he had a plan, he never wrote what the plan was or who it was against. His mother did tell officers that she believes he did not know who his victims, 21-year-old Brianna Benlolo and 25-year-old Tyler Johnson. His mother also added how Aguilar was a “gentle, and sweet kid.” Police say that Aguilar shot as many as nine shots that Saturday at The Mall in Columbia. As the people of the mall said it, a mall shooting is something you would never expect to happen. Knowing that their gunman purchased his gun legally, meaning he even passed the background check, is almost frightening that anyone can do as he did with a firearm. Last month two Norwegian lawmakers have jointly nominated National Security Agency leaker Edward Snowden for the Nobel Peace Prize, they said Wednesday on their party website. Snowden has “revealed the nature and technological prowess of modern surveillance,” and by doing so has contributed to peace, said a joint statement by Bard Vegar Solhjell and Snorre Valen of the Socialist Left Party. Nominations for this year’s Nobel Peace Prize — whose winners include such figures as the late South African President Nelson Mandela, Myanmar opposition leader Aung San Suu Kyi and President Barack Obama — close on Saturday, with the winner announced in October. According to the Norwegian Nobel Committee’s rules, Solhjell and Valen are qualified as national lawmakers, so they can make a nomination. The names of each year’s nominees are not revealed until 50 years later. In support of Snowdon, Solhjell and Valen gave a speech “There is no doubt that the actions of Edward Snowden may have damaged the security interests of several nations in the short term. We do not necessarily condone or support all of his disclosures. We are, however, convinced that the public debate and changes in policy that have followed in the wake of Snowden’s whistleblowing have contributed to a more stable and peaceful world order. His actions have in effect led to the reintroduction of trust and transparency as a leading principle in global security policies. Its value can’t be overestimated.” – CNN news reported. Right now Snowden remains in Russia, where he was granted one year’s asylum in June. In the United States, he faces charges of espionage and theft of government property over the leaking of sensational details of spy programs. Was Utah justified in taking kids lunches? On January 28th, Uintah Elementary School took about forty kids’ lunch away from them, then proceeded to throw them in the trash because they didn’t have enough money to pay for it. In the wake of this tragedy, hundreds of people wrote negative comments on the school’s Facebook page, calling them disgusting and citing Bible verses to prove how immoral and evil the school board is. Why would the school perform such a fiendish act? The school was only doing what they thought they should be doing.The Tribune reports that a former school cafeteria worker has said refusing to give kids lunch if their accounts are too low is standard practice. These kids were unable to pay for lunch, so they couldn’t get one. The school did not, however, let the kids go hungry. They were given a nice, healthy snack of fruit and milk. As for throwing the lunches into the garbage, the has a policy that prevents it from serving food twice (the lunches were taken away after they were served because that’s when the lunch servers noticed they didn’t have money). We often are told that nothing in life is free. In our society, everything has a price somewhere along the line. Although the school admits that the situation could have been handled better, and they probably should have handled it better, they were not entirely wrong to do so.The district said Wednesday that the decision to take away the kids’ lunches came from the school district’s child nutrition manager — one day after attempts to contact their parents failed. Admittedly, the school should have tried harder to inform the parents. “These are young children that shouldn’t be punished or humiliated for something the parents obviously need to clear up,” claim critics of the school board. The children, however, should have known that they need to pay for lunch, and that they should inform their parents of that fact. However, the kids must have at least learned a valuable lesson: there is no such thing as a free lunch. The El Diamante gym was abuzz on a rainy Friday night, as the Hanford Bullpups and our Miners ran, lept and skidded across the court for the girl’s basketball home game. Players darted across the floor and fought for the ball with such vigor, it was clear that their focus was a force to be reckoned with. The JV game had us at a rough start, losing with a score of 18-59, but the cheers of the JV cheerleaders kept the excitement going while the main event began as the bleachers filled as next game prepared to begin. Blaring music filled the gym as our varsity girls ran in right after and warmed up. Cheers and whistles resonated all around and the action began. The yells of coaches, teammates and parents echoed throughout the gym as our Miners got off to a rocky start, with a losing score in the first half. Even when the girls weren’t playing, one could see the passion in the faces of our lady miners and the closeness of the team, and how they all worked together to do the very best they could. Varsity cheer kept spirits up through all the nail biting and anticipation as the Green Sea held on to their seats . Our girls played hard, their concentration was strong and their intensity was fierce. But sadly, we lost and the final score ended up being 16-80. Despite this defeat, attitudes have not changed about the optimistic prospects of the season and the togetherness of the team. The Dig sat down with Vika Fortin, a varsity player and Junior at El Diamante, to ask how she felt about learning from the mistakes, teamwork, and what it means to play the game. “I feel this year’s season is the best we’ve had so far, compared to past year’s seasons. We’re also very close as a team and I feel that as a team player, when you lose a game, it is selfish to let it get you down. You have to keep your spirits up for the good of the team and keep your head up. The girls and I love basketball and to us, playing the game means being a family and doing what we love. ” This shows that our team is more than a team, they’re a family. Super Bowl 2014 left us all in shock with a 43-8 score when the clock ran out. The ability of the Seahawks defense to control the Broncos offense the entire game is what made the game worth watching. This was hyped up to be the best matchup of this season, the number one defense in the league facing off against the number one offense in the NFL. From kick off till the last quarter, the Seahawks proved their dominance. Although the game didn’t reach our expectations the famous over the top commercials definitely did! As always the car commercials were in competition with each other, taking more risks with each commercial break! It’s nearly impossible to decide which manufacturer takes the cake this year! Chrysler, Ford, Toyota, Chevy, Maserati and Audi each had entertaining and heart pulling commercials. The legendary Budweiser’s commercials made the top list for this years “puppy love” take on their product. Another beverage company stole our hearts with a look at the beauty of diversity in America by Coca-cola. With over 100 commercials and countless actors and athletes starring in them it’s easy to see that these commercials will be remembered! Overall, Super Bowl 2014 will be remembered for history making scores and plays made by both The Seahawks and The Broncos. It’ll also be remembered for the amount of comical, heart warming, and speed racing commercials!